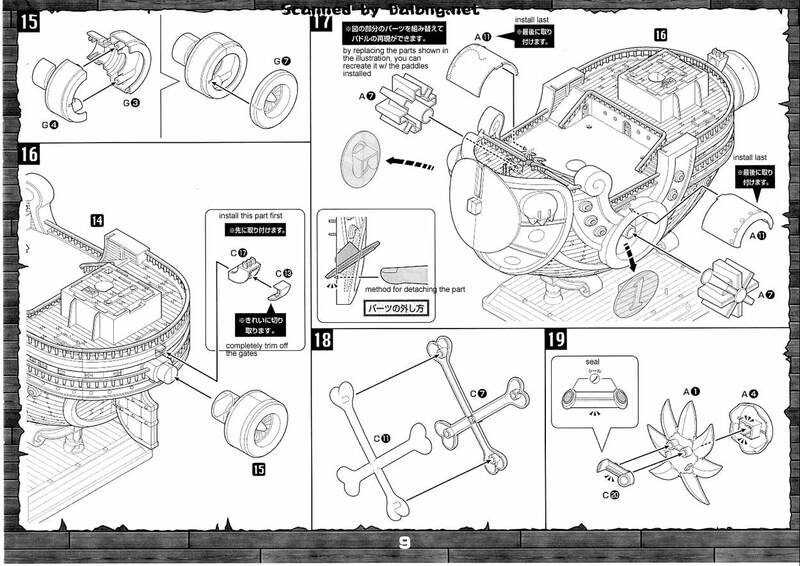 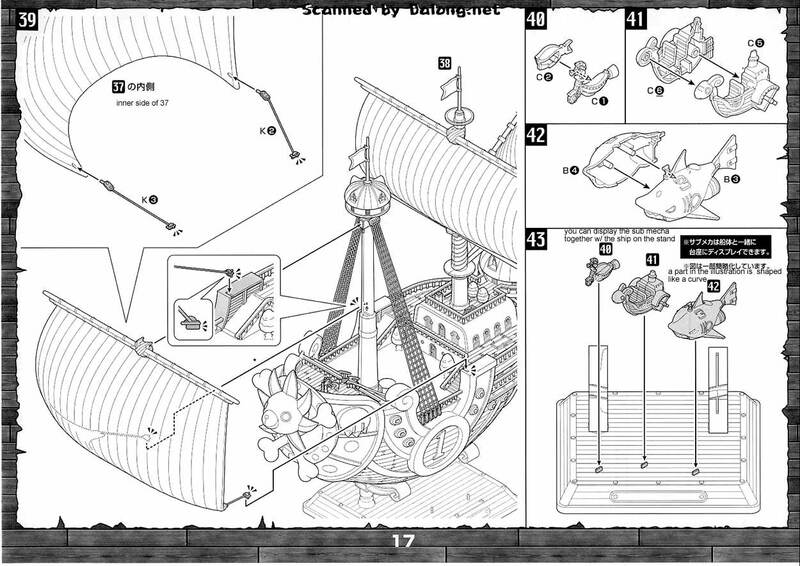 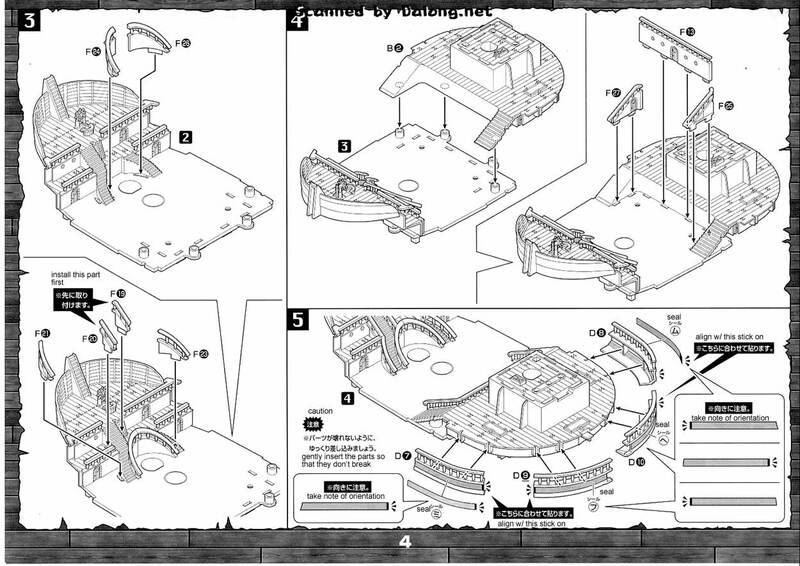 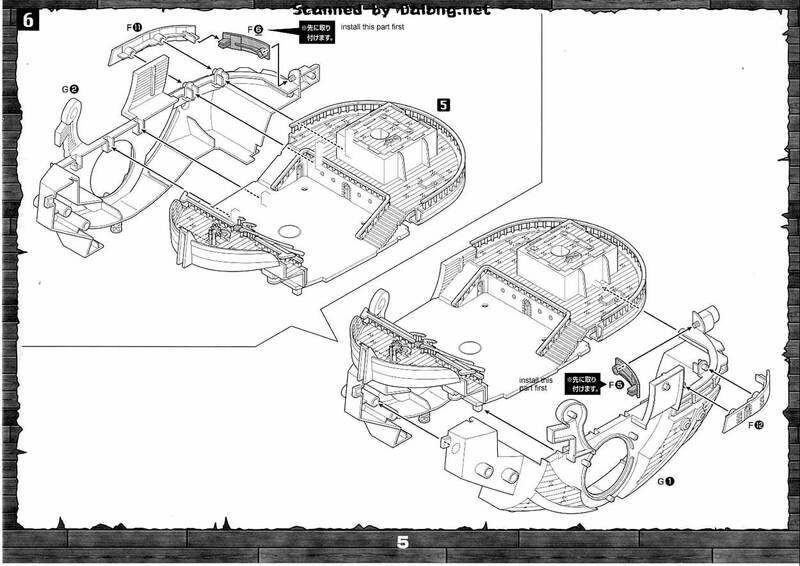 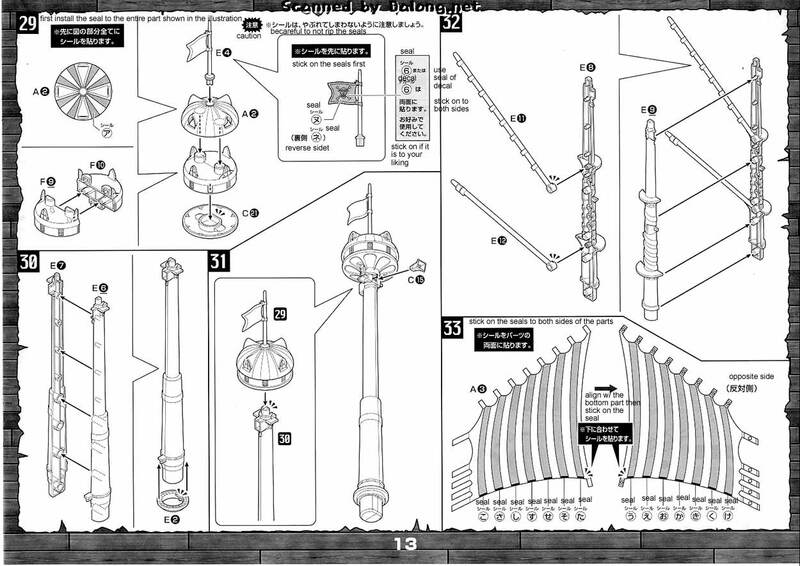 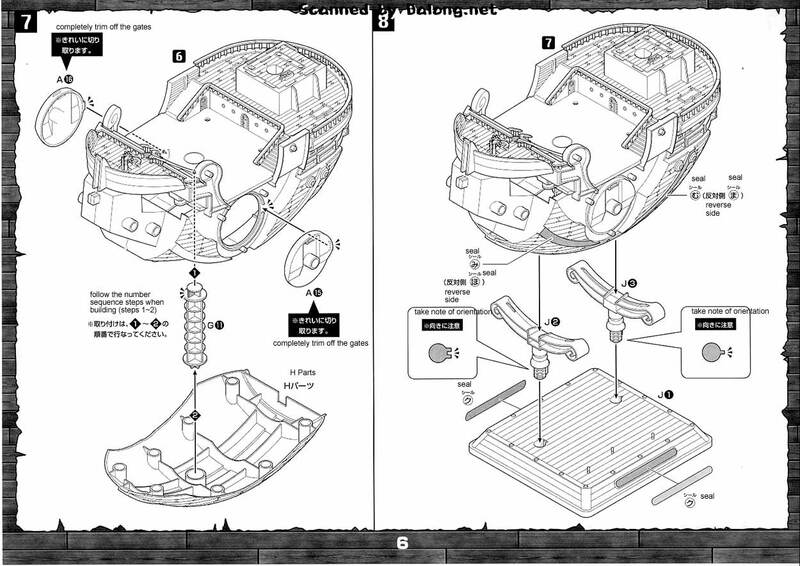 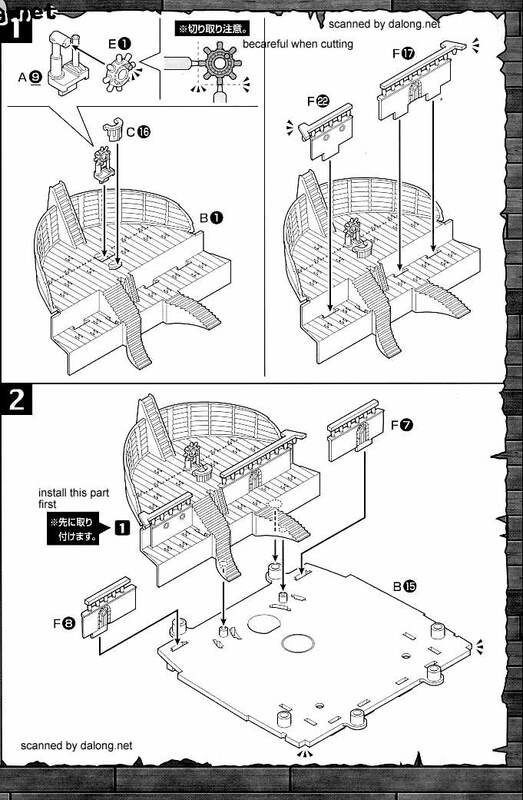 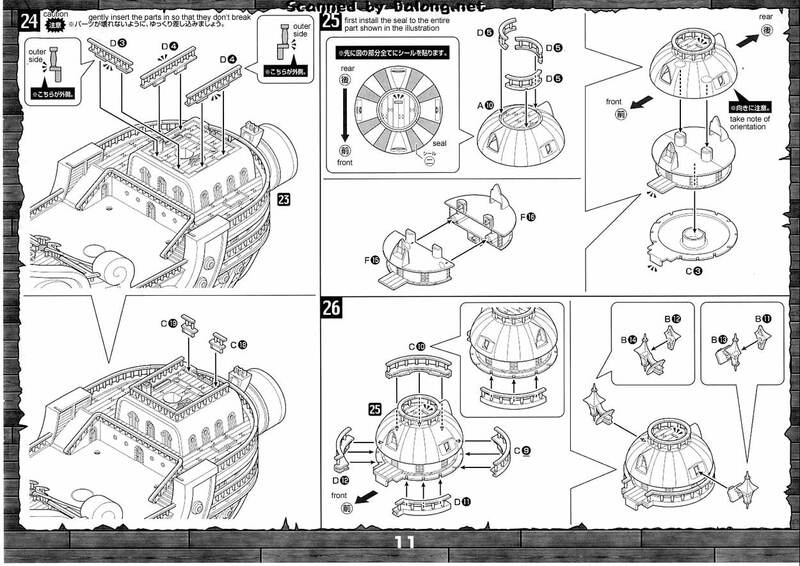 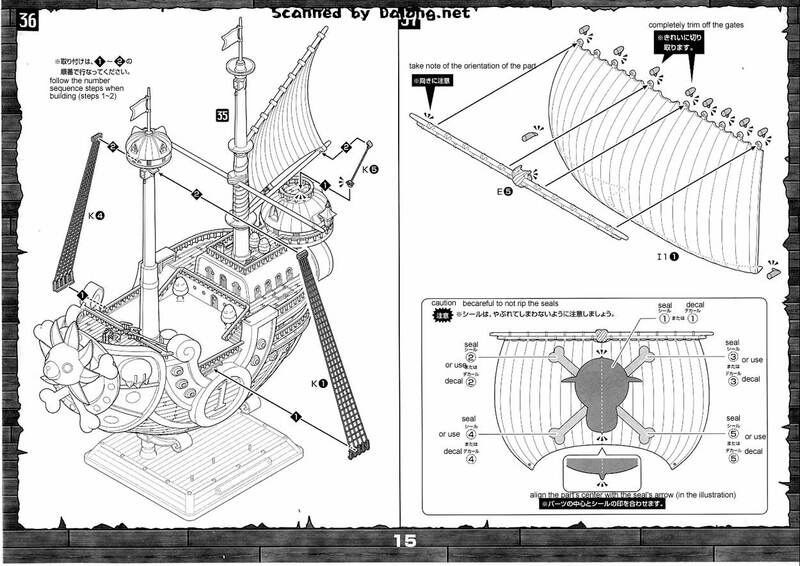 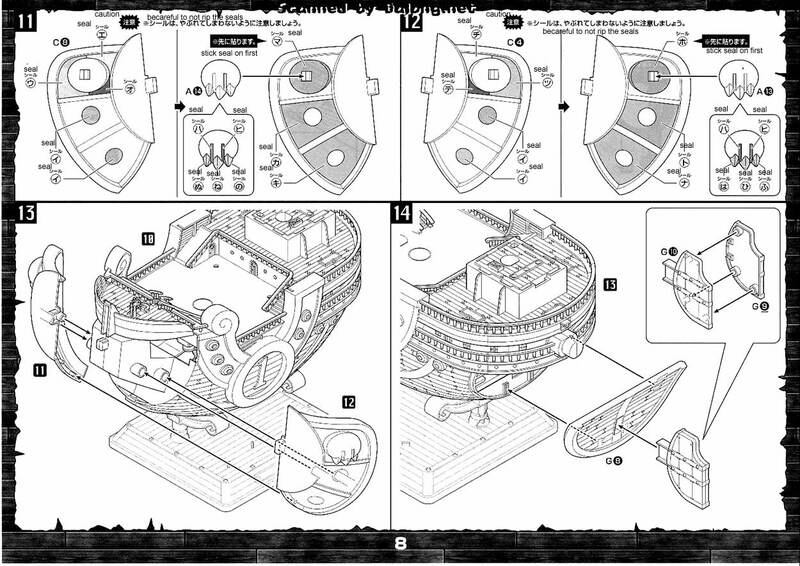 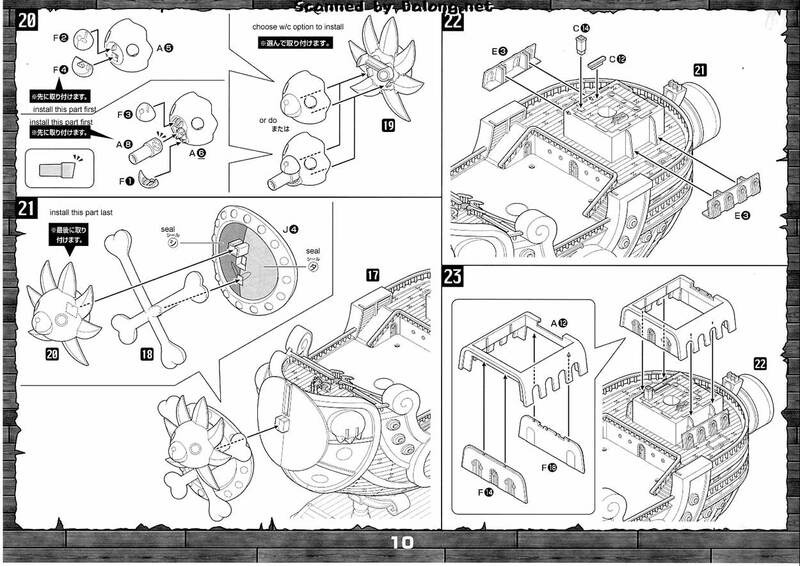 Released by Bandai in October of 2011 was the Thousand Sunny New World Version plastic model kit. 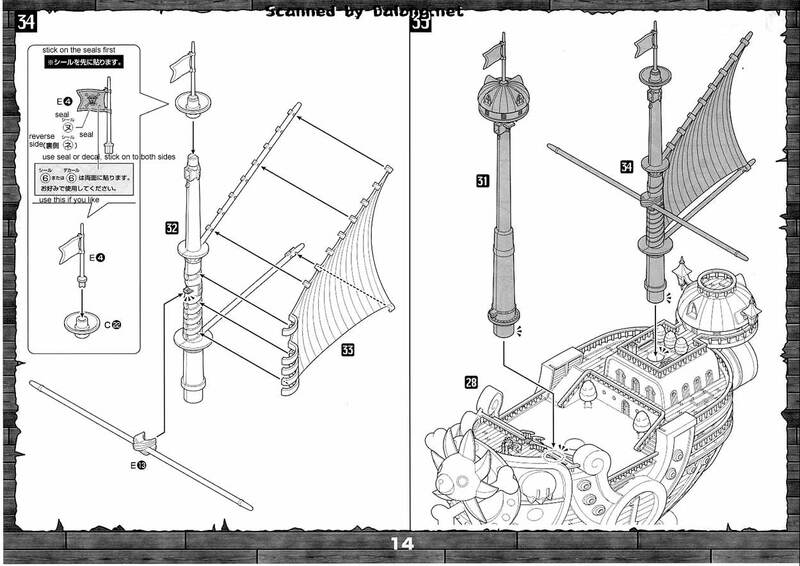 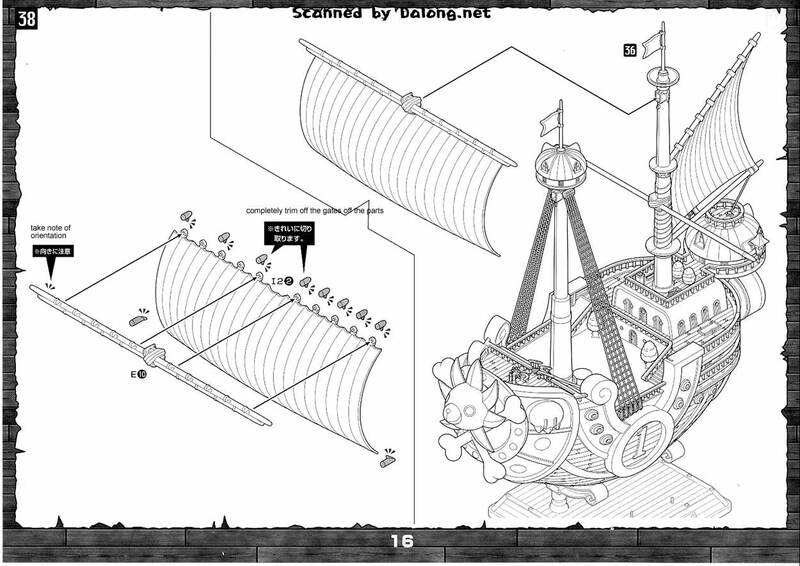 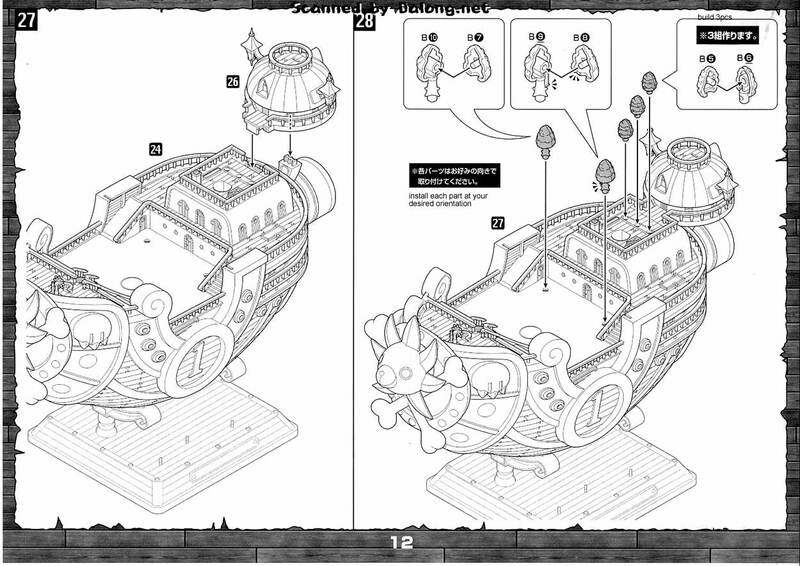 The Thousand Sunny is the ship used by the protagonists of the very popular One Piece anime series. 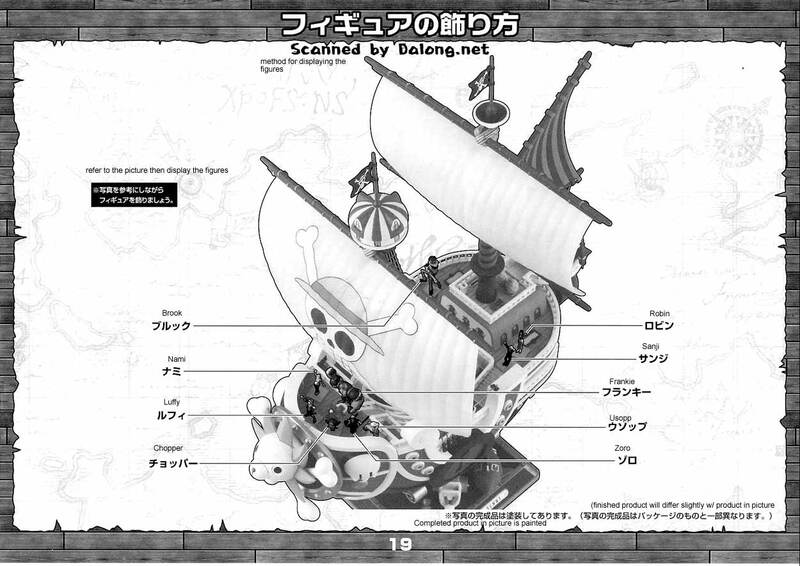 Aside from the Thousand Sunny, it also comes with figures of the main characters from the anime as well as the Shiro mokuba, Mini Merry and the Shark Submarine. 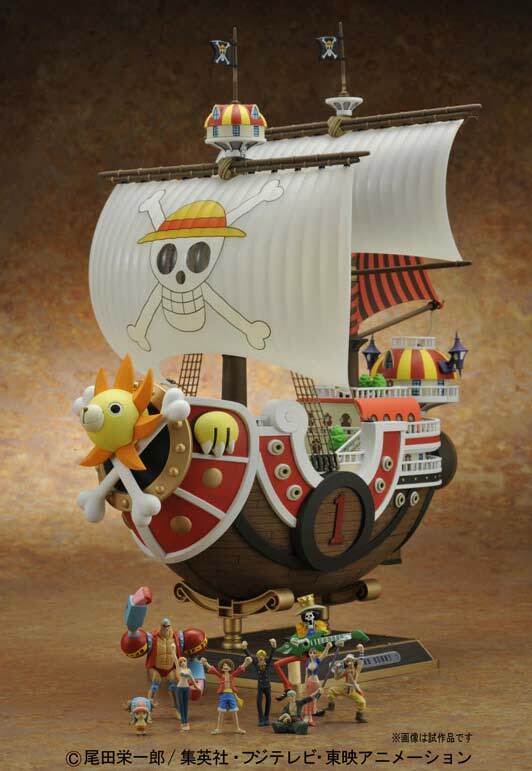 In case anybody's interested, Bandai also released a 1/8 MG Figurerise of One Piece progatonist, Monkey D. Luffy. 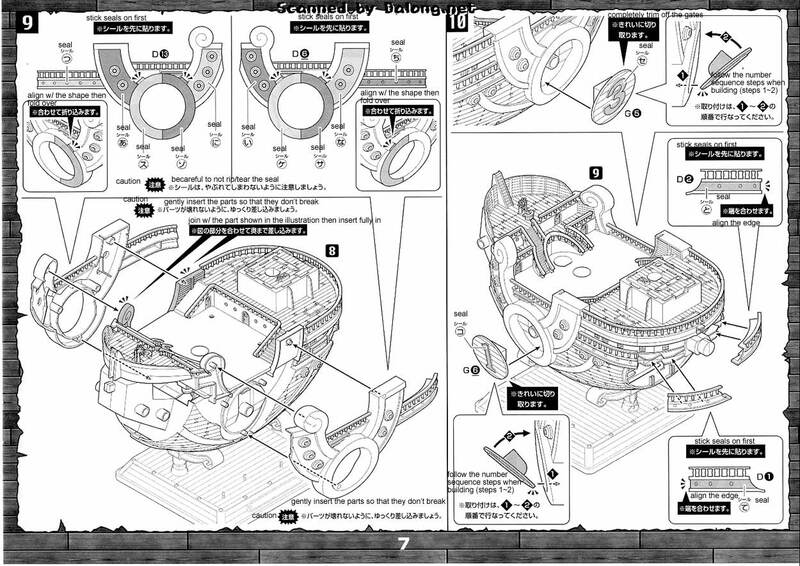 Color Guide was translated to English from the Japanese manual posted at Dalong's Gunpla & Model Kit Review site.